Shirts With Random Triangles: Alabama grad photobombed by Nick Saban. 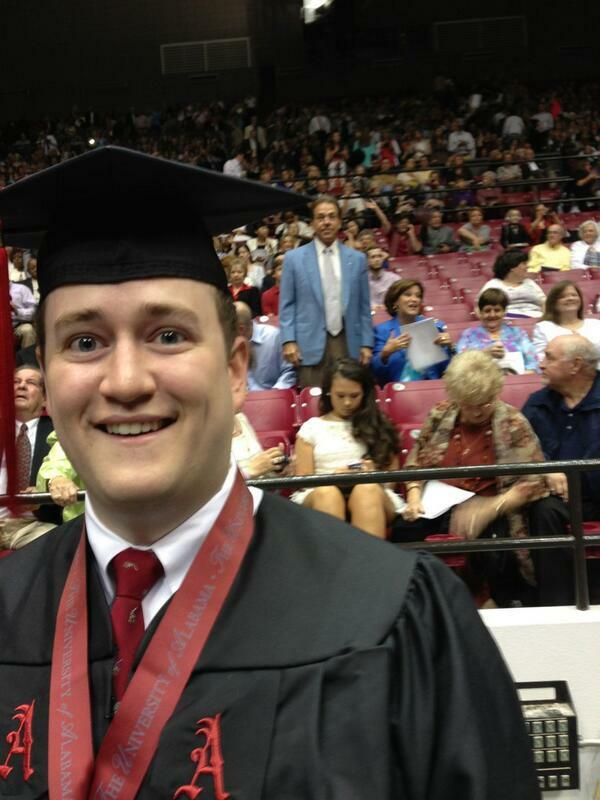 It's hard to tell which is better in this picture - The fact that the look on the unsuspecting Alabama grad in the forefront's face is evidence of some sort of pre-graduation celebrations involving some sort of adult beverage or controlled substance, or the fact that Alabama head football coach is quietly photobombing in the background. Either way, this grad is gonna have one heck of a story to share with his grandkids.